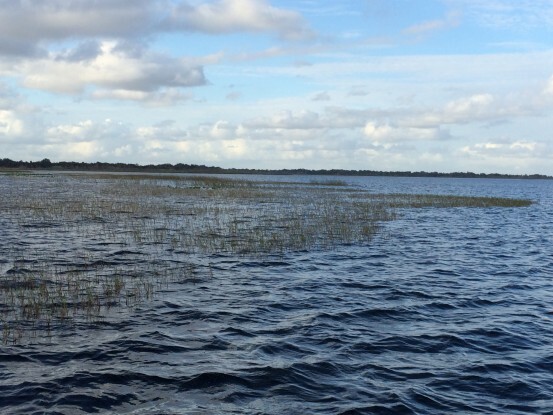 KISSIMMEE, Fla. — The majority of anglers fishing the Bass Pro Shops Bassmaster Southern Open #1 presented by Allstate agreed that the tournament couldn’t have been won on Toho. 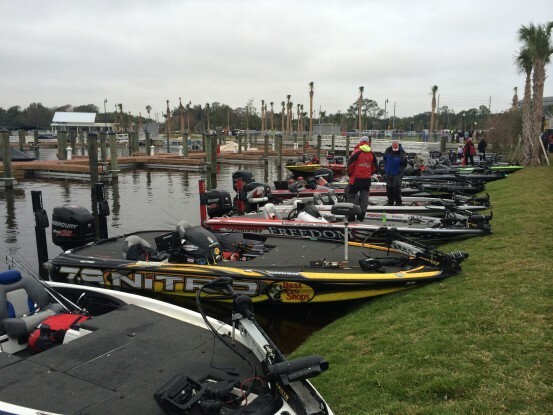 Most anglers locked through to Kissimmee for the big bass. Elite Series pro Chad Morgenthaler from Coulterville, Ill., however spent all three days on Toho and found the big bite that moved him from ninth place to win the open. Morgenthalers final bag weighed in at 22 pounds, 3 ounces which was enough to give him a 52-7 total and the win. The second biggest bag of the day of 14 pounds was brought to the scales by Bobby Lane who finished second with a three day total of 48-13. Todd Auten of South Carolina finished third with a total of 48-1. Alabama's G-Man. 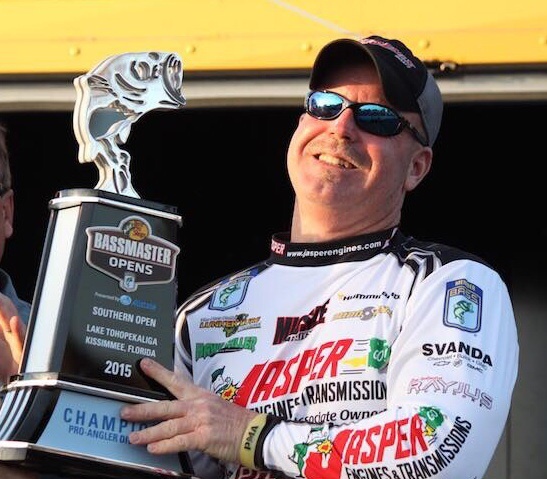 Gerald Swindle ended up fourth and Brandon McMillan rounded out the Top 5. Morgenthaler like a few other competitors avoided the locks that lead into Kissimmee partly because of the fear that locking down would cost fishing time and the belief that Toho had the big bass that were needed to win. For the win Morgenthaler rigged a black and blue Missile Baits D-Bomb on a 3/0 straight shank Gamakatsu heavy flipping hook and a 1 1/2-ounce tungsten weight. The sun that appeared on the final day brought the bigger bass that retreated back to wintering holes out to feed, and Morgenthaler was at the right place at the right time. The win earned Morgenthaler more than $48,533, including a Nitro Z9 bass boat and tandem Nitro trailer rigged with a Mercury 225 Pro XS, Minn Kota Maxxum Trolling Motor and Lowrance HDS-7C electronics. Alan Agnoli of Florida won the co-angler division bringing a 32 pounds, 3 ounce bag at the scales, while Robbie Anderson finished second with 22-11. Terry Law was third with 22-3.Agnoli, caught a three fish co-angler limit of 17 pounds, 11 ounces to take the second-round lead on Friday. He won a Nitro Z7 bass boat rigged with a Mercury 150 Pro XS, Nitro Single Axle Trailer, Minn Kota Maxxum Trolling Motor and Lowrance Mark 5X.A fantastic event that proved that the bass of Toho were as unpredictable as Florida's January weather. 400 anglers from around the globe represented their home towns and sponsors with pride and ambition. They will bring that same spirit to the waters of the Alabama River in April for round two of the Bassmaster Southern Open. Visit bassmaster.com for more info.